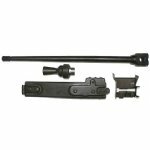 7.62x51mm / .308 MG1 conversion kit for your MG42 or Yugo M53. 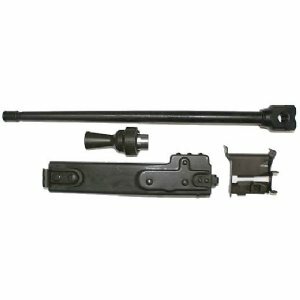 Consists of 100% German parts and includes everything you need to run 7.62mm in your MG.
MG1 basic conversion kit includes: Barrel, Top Cover, Feed Tray and Booster Set. The Top Cover and Feed Tray are new old stock and have been in storage for many years. Some of these might have some corrosion at the welds holding the pressure plate assembly. This can clean up well with a little TLC by the end user. Product Review: This is an excellent conversion kit for the money. All the parts are in excellent condition and even the barrel bore looks like a mirror!